While dealing with a Civil Revision No.3130 of 2013(O&M) in Rupak Rathi vs. Anita Chaudhary, the Punjab and Haryana High Court has ruled that any judgment passed by a court of another country in a matrimonial dispute would not be considered conclusive in relation to the same matrimonial dispute pending before an Indian court. This petition was filed under Article 227 of the Constitution of India challenging the order dated 5 April, 2013 passed by the District Judge, Panchkula declining an application under Order VII Rule 11 of the Code of Civil Procedure, 1908 filed by Petitioner Rupak Rathi in a divorce petition instituted by his wife Respondent Anita Chaudhary under Section 13 of the Hindu Marriage Act, 1955 praying for dissolution of marriage. A Single Bench of Justice Rajiv Narain Raina while dismissing the petition filed by the Petitioner, who had challenged the divorce petition filed by his wife Anita Chaudhary as the couple had already got divorce in a UK court on the grounds of irretrievable breakdown of marriage, has held that couples who got married in India and migrated to foreign lands would be governed by Indian laws only and the matrimonial decree passed by a foreign court would be binding only if the orders were passed as per the Hindu Marriage Act. Justice Raina held that adjudication couldn’t be foreclosed simply on account of presence of the foreign court decree. He stated that in the present case as both the parties pursued parallel matrimonial reliefs in different jurisdictions thereby giving rise to conflict on the issue of consent. Accordingly, it was essential to resolve the issues arising out of such consent and settle the matter. (i) If the spouse aggrieved by the foreign matrimonial decree did notsubmit to the jurisdiction of the foreign court or consented to the passing of the foreign Court judgment, it ought not to be recognized being unenforceable under Section 13 CPC. This position of law ought to be applied to the facts of the individual case. (ii) There may be occasions that a spouse relying upon the judgment of a foreign matrimonial court, upon receipt of a summon or notice from a court of competent jurisdiction underthe HMA, may not choose to file a written statement in response to a petition seeking a matrimonial cause under HMA in Punjab, Haryana or Chandigarh. Instead, seeking to rely upon or invoke the provisions of Section 13 CPC the contesting spouse may prefer to move an application under Order VII Rule 11 CPC. Thus, it may be contended before the court of competent jurisdiction under the HMA that since the matrimonial action between the parties had already been decided and concluded by a Court in the foreign jurisdiction, the adjudication in the matter in issue between the same spouses based on the same matrimonial cause of action was barred by the principle of res judicata and spouses were estopped in law from agitating the same again. (iii) It wasargued that wherever both or any spouse arrayed in a matrimonial cause in a matrimonial action under HMA contest, dispute, question or oppose any above such application under Order VII Rule 11, CPC involving interpretation of the principles laid down under Section 13 CPC thereby necessitating requirement of detailed pleadings and evidence of spouses, no summary decision may seem possible to decide the matter in the preliminary stage. (iv) In the above situation, there may also be circumstances involving application of issues of domicile as also applicability of Sections 1 and 2 of the HMA regarding extra territorial application of the provisions of HMA. Determination of these issues may also require parties to put their pleadings and testimony as well on the record of the Court of competentjurisdiction under the HMA. 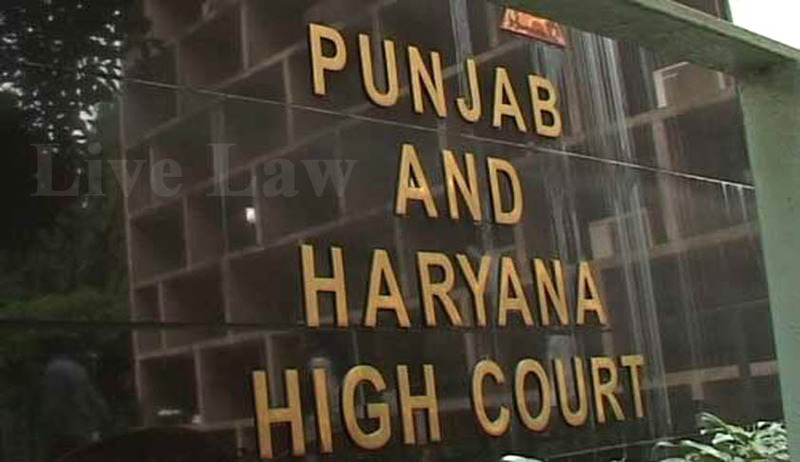 (v) The application of the provisions of the CPC finding mention under Section 21 HMA, the Court of Competent jurisdiction under the HMA in Punjab, Haryana or Chandigarh may then be guided by the procedural law of pleadings contained in the Orders and Rules of the CPC and Punjab & Haryana High Court amendments, if any, for further proceedings in the matter. Accordingly, filing of a written statement, counter claim, rejoinder and/or other pleadings may be necessitated for having the factual matrix on record leading to the settlement of issues under Order XIV CPC which can only be framed upon allegations made by parties to be read along with the contents of documents produced by spouses. Hence, this procedure may be necessary to be adopted to decide upon the warring claims of spouses relying on averments in support or against the judgment of the foreign matrimonial court between the parties. (vi) Based on the above procedural requirements, the Court of competent jurisdiction under the HMA may then examine the process, pleadings, grounds and other details in the passing of the judgment/decree of the matrimonial court of foreign jurisdiction to test it on the anvil of Section 13 CPC and based on the principles laid down by the Apex Court in Y. NarasimhaRao v. Y. Venkata Lakshmi, 1991 (3) SCC 451 and exception (iii). Hence, in the event of a contest, dispute, opposition to the applicability of the foreign matrimonial judgment in the Indian jurisdiction, a summarydisposal may not be possible. (vii) Thereafter, if the issue relating to the jurisdiction of Competent Court under the HMA as also any bar to the matrimonial cause created by any existing law appears to be established, the matrimonial court in Punjab, Haryana or Chandigarh may upon the facts and circumstances of the case take an appropriate decision under Order XIV Rule 2 CPC whether it needs to pronounce judgment on all issues or decide the issue of jurisdiction or maintainability as a preliminary issue. In such circumstances, the Competent Court under the HMA may after forming an opinion take an appropriate decision on the facts of the case as to whether the issue of jurisdiction or maintainability is to be decided as a preliminary issue or pronounce judgment together on all the issues. Justice Raina found no legal infirmity in the impugned order passed by the District Judge, Panchkula declining the application under Order VII Rule 11 CPC and thus dismissed the petition. However, he stated that since the evidence had already been cited by the parties, the District Judge, Panchkula would be free to pass final orders on the merits of the case and whether the grounds of divorce pleaded in the petition and available under Section 13 of the HMA were made out or not warranting grant or refusal of a dissolution of marriage between the parties and other incidental and additional matters thereto. Petitioner in Brantford County Court (BCC) in the UK initiated divorce proceedings on March 17, 2011. Respondent filed a divorce petition in a Panchkula court under Section 13 of the HMA on grounds of cruelty by the Petitioner, while those proceedings were pending. Both the proceedings carried on simultaneously for sometime before the English court passed a decree of divorce on January 31, 2012, on the ground that the marriage had broken down irretrievably. Following the divorce in UK, Petitioner moved the Panchkula court seeking rejection of Respondent’s divorce petition on the ground that the UK's divorce decree was binding. He also contended that the Panchkula court had no jurisdiction to entertain the divorce petition. It was however, challenged by the Respondent that the UK had no jurisdiction to pass the decree of dissolution of marriage on the ground of irretrievable breakdown of marriage, which was not available in HMA.